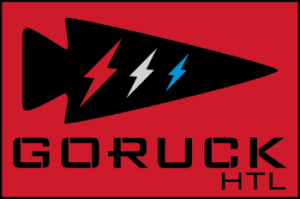 The GORUCK HTL is a Heavy, Tough, and Light event back-to-back-to-back. The event will start off with a 24+ hour Heavy on Day 1, then lead into a 12+ hour Tough on Day 2, and then end with a 6+ hour Light event on Day 3. You do NOT have to sign up to do every event; you can choose to do which event(s) you like. Going for Bolts? If you choose to do every event, between each event you may be given a short break to change, refuel, and get your mind right (again). If you make it to the end of the Light event you will earn the HTL finisher patch. However, the HTL is not for the faint-hearted. A proper training and nutrition regimen are critical to successfully completing the HTL (see training below). Capacity: 35 slots for the Heavy; 50 for the Tough; 50 for the Light. Additional PAX will be waitlisted unless demand is high enough to justify expanding the cap (to be determined in December 2018). Swag? Lots of it. Custom finisher event patches, Team F3 patches for all participants, HTL Bolt patches for HTL finishers (all three events), and a custom event t-shirt, all included in the event price. Grub: Food and booze will be provided at the end of each event. Shadows: We need them! The more, the merrier. Total Final Cost: Total Heavy costs will range between $125 – $200. Total Tough costs will range between $100-$175. Total Light costs will range between $75 – $125. Final pricing depends on demand and will be announced in December 2018. Pay via PayPal as Friends & Family to F3HTL002@gmail.com (NOTE: REFUNDS ARE NOT POSSIBLE. IN THE EVENT YOU CANNOT DO THE EVENT, YOU NEED TO FIND OTHERS TO TAKE YOUR REGISTRATION AND SETTLE UP ON YOUR OWN). Communication – Updates will be provided on Twitter (@F3HTL002) and the Event Facebook page (2019 F3 Nation Churham Custom HTL). 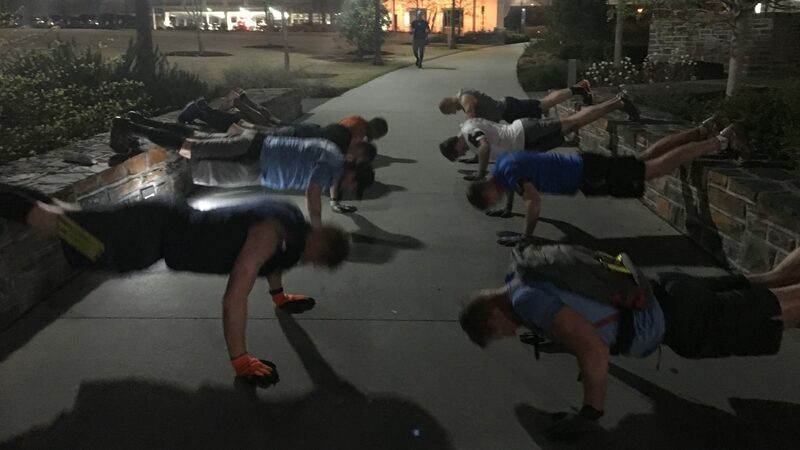 Join a local ruck club to find some friends to train with! I have paid the $225 deposit for the HTL on Paypal. Can I formally register for the event on goruck.com now or do I have to wait for 11/9/2018? Will my deposit that has been paid on Paypal link to my subsequent registration on goruck.com? Deposit secures your spot. A formal registration link will follow in the coming weeks. Stay tuned.